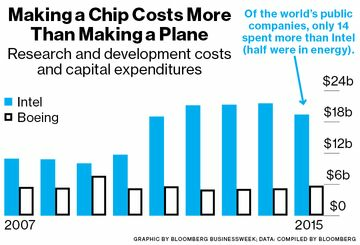 The development of a microprocessor is one of the riskiest, costliest, and most technically complex feats in business. Before entering the cleanroom in D1D, as Intel calls its 17 million-cubic-foot microprocessor factory in Hillsboro, Oregon, it’s a good idea to carefully wash your hands and face. You should probably also empty your bladder. There are no bathrooms in the cleanroom. Makeup, perfume, and cosmetics are forbidden. Writing instruments are allowed, as long as they’re special sterile pens; paper, which sheds microscopic particles, is absolutely banned. If you want to write on something, you’ll have to use what is known in the industry as “high-performance documentation material,” a paperlike product that doesn’t release fibers. After you put on a hairnet, your next stop is the gowning station, inside a pressurized room that sits between the outside world and the cleanroom itself. A hard breeze, sent by a cleaning system that takes up the equivalent of four and a half football fields, hits you as you walk in, removing stray matter—dust, lint, dog hairs, bacteria. You put on pre-gown gloves, then a white bodysuit with a hood and surgical-style mouth cover, followed by a second pair of gloves, a second pair of shoe covers, and safety glasses. None of these measures are for your safety; they protect the chips from you. The air in the cleanroom is the purest you’ve ever breathed. It’s class 10 purity, meaning that for every cubic foot of air there can be no more than 10 particles larger than half a micron, which is about the size of a small bacteria. In an exceptionally clean hospital OR, there can be as many as 10,000 bacteria-size particles without creating any special risk of infection. In the outside world, there are about 3 million. The cleanroom is nearly silent except for the low hum of the “tools,” as Intel calls them, which look like giant copy machines and cost as much as $50 million each. They sit on steel pedestals that are attached to the building’s frame, so that no vibrations—from other tools, for instance, or from your footfalls—will affect the chips. You step softly even so. Some of these tools are so precise they can be controlled to within half a nanometer, the width of two silicon atoms. Chips are made by creating tiny patterns on a polished 12-inch silicon disk, in part by using a process called photolithography and depositing superthin layers of materials on top. These wafers are kept in sealed, microwave oven-size pods called “foups” that are carried around by robots—hundreds of robots, actually—running on tracks overhead, taking the wafers to various tools. The air inside a foup is class 1, meaning it probably contains no particles at all. Periodically, the wafer is washed using a form of water so pure it isn’t found in nature. It’s so pure it’s lethal. If you drank enough of it, it would pull essential minerals out of your cells and kill you. Over the next three months—three times the amount of time it takes Boeing to manufacture a single Dreamliner—these wafers will be transformed into microprocessors. They’ll make their way through more than 2,000 steps of lithography, etching, material application, and more etching. Each will then be chopped up into a hundred or so thumbnail-size “dies,” each of which will be packaged in a ceramic enclosure. If everything functions properly, none of the 100,000 or so people who work at Intel will ever touch them. 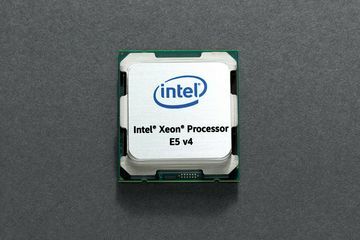 The endpoint of this mechanized miracle: the Intel Xeon E5 v4, the company’s latest server chip and the engine of the internet. A top-of-the-line E5 is the size of a postage stamp, retails for $4,115, and uses about 60 percent more energy per year than a large Whirlpool refrigerator. You use them whenever you search Google, hail an Uber, or let your kids stream Episode 3 of Unbreakable Kimmy Schmidt in your car. These feats of computer science are often attributed to the rise of the smartphone, but the hard work is being done on thousands of servers. And pretty much all of those servers run on Intel chips. In PCs and phones, this strategy has its limits: Consumers simply don’t care that much about speed and efficiency beyond a certain point. But in servers, where data centers run by such companies as Amazon.com and Microsoft compete for the right to handle data for the Netflixes and Ubers of the world, performance is paramount. The electricity needed to run and cool servers is by far the biggest expense at the average server farm. If Intel can deliver more computing power for the same amount of electricity, data center owners will upgrade again and again. Microprocessors are everywhere. They’re in your TV, car, Wi-Fi router, and, if they’re new enough, your refrigerator and thermostat. Internet-connected lightbulbs and some running shoes have chips. Even if you don’t think of them that way, these devices are in a sense computers, which means they’re made of transistors. A transistor is a switch. But instead of requiring a finger to turn it on or off, it uses small electrical pulses—3 billion per second in the case of a powerful computer. What can you do with a switch? Well, you can use it to store exactly one bit of information. On or off, yes or no, 0 or 1—these are examples of data that can be conveyed in a single bit, which is, believe it or not, a technical term. (There are 8 bits in a byte, 8 billion in a gigabyte.) The earliest computers stored bits in punch cards—hole or no hole?—but that was limiting, because if you want to do anything cool, you need a lot of bits. For instance, if you want your computer to store the words “God, this stuff is complicated,” it would need 8 bits for every letter, or 240 transistors. Another thing you can do with a switch is math. String seven switches together in just the right order, and you can add two small numbers; string 29,000 of them, and you have the chip that powered the original IBM PC in 1981; pack 7.2 billion on an E5, and you can predict global weather patterns, sequence a human genome, and identify oil and gas deposits under the ocean floor. Every three years or so, Intel shrinks the dimensions of its transistors by about 30 percent. It went from 32-nanometer production in 2009 to 22nm in 2011 to 14nm in late 2014, the state of the art. Each of those jumps to smaller switches means chip designers can cram about twice as many into the same area. This phenomenon is known as Moore’s Law, and it has, for half a century, ensured that the chip you buy three years from now will be at least twice as good as the one you buy today. Shrinking the transistors is only part of the challenge. Another is managing an ever more complex array of interconnects, the crisscrossing filaments that link the transistors to one another. The Xeon features 13 layers of copper wires, some thinner than a single virus, made by etching tiny lines into an insulating glass and then depositing metal in the slots. Whereas transistors have tended to get more efficient as they’ve shrunk, smaller wires by their nature don’t. The smaller they are, the less current they carry. The man in charge of the Xeon E5’s wiring is Kevin Fischer, a midlevel Intel engineer who sat down in his Oregon lab in early 2009 with a simple goal: Fix the conductivity of two of the most densely packed layers of wires, known as Metal 4 and Metal 6. Fischer, 45, who has a Ph.D. in electrical engineering from the University of Wisconsin at Madison, started the way Intel researchers usually do, by scouring the academic literature. Intel already used copper, one of the most conductive metals, so he decided to focus on improving the insulators, or dielectrics, which tend to slow down the current moving through the wires. One option would be to use new insulators that are spongier and thus create less drag. But Fischer suggested replacing the glass with nothing at all. “Air is the ultimate dielectric,” he says, as if stunned by the elegance of his solution. The idea worked. 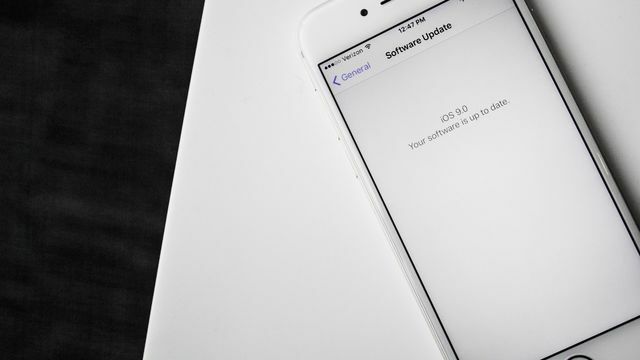 Metal layers 4 and 6 now move 10 percent faster. It takes a year for Intel’s architects—the most senior designers, who work closely with customers as well as researchers in Oregon—to produce a spec, a several-thousand-page document that explains the chip’s functions in extreme detail. It takes an additional year and a half to translate the spec into a kind of software code composed of basic logic instructions such as AND, OR, and NOT, and then translate that into a schematic showing the individual circuits. The final and most labor-intensive part of this process, mask design, involves figuring out how to cram the circuits into a physical layout. The layout is eventually transferred onto masks, the stencils used to burn tiny patterns on the silicon wafer and ultimately make a chip. For the E5, mask designers based in Bangalore, India, and Fort Collins, Colo., used a computer-aided design program to draw polygons to represent each transistor, or copied in previously drawn circuit designs from a sort of digital library. “You have to have the ability to visualize what you’re working on in 3D,” says Corrina Mellinger, a veteran Intel mask designer. The moment of birth of a chip is known as first silicon. For the E5, first silicon happened in 2014. A team in Bangalore sent a 7.5-gigabyte file containing the full design to Intel’s mask shop in Santa Clara. The masks, 6-by-6-inch quartz plates that feature slightly blown-up versions of the transistors to be printed on each chip, were shipped the following week to an Intel fab near Phoenix that is an exact copy of the Oregon facility, and the machines began their slow, exacting work. The last step in the manufacturing process happens at assembly plants in Malaysia, China, and Vietnam. There, diamond saws cut the finished wafers into squares, which are then packaged and tested. In fall 2015, Intel shipped more than 100,000 chips, gratis, to the Super 7 and other big customers. Last-minute tweaks were made to the software that ships with each chip, and Intel spent six weeks or so doing final tests. Full manufacturing of the new E5 didn’t begin until earlier this year, in Arizona and at another identical fab in Leixlip, Ireland. Over the next 12 months, Intel will sell millions of them. If customers are lucky, they’ll probably never see those chips, much less consider how they were made. But if you opened up a new server, you’d eventually find a healthy chip, hot to the touch and sealed in ceramic packaging that bears a blue Intel logo. If you looked inside the housing, you’d find the 13 layers of interconnects, which to the naked eye look like nothing more than a dull metal plate. Many layers below would be the silicon, shimmering in blues and oranges and purples—a tiny, teeming maze of circuits that somehow makes our whole world work. It’s beautiful, you might think. Bohr, Intel’s lead manufacturing researcher, sometimes thinks the same thing. But as a scientist, he understands that what he sees aren’t really colors—they’re just light, reflected and refracted by the designs he and his colleagues have imprinted on the silicon. The individual transistors themselves are smaller than any wave of light. “When you get dimensions that small, color has no meaning,” he says, and then excuses himself. He’s late for a meeting to discuss Intel’s 5-nanometer chips, two generations from the current E5. Five nanometers is regarded by many in the chip business as the point after which it won’t be possible to scale down further, when Moore’s Law will finally fail. 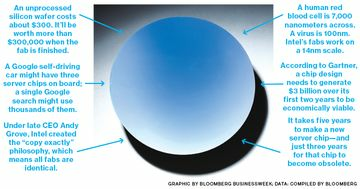 Intel hopes to use something called extreme ultraviolet light, a new technology that the industry has yet to harness effectively, to help get there. Beyond 5nm there will be new materials—some think that carbon nanotubes will replace silicon transistors—and perhaps entirely new technologies, such as neuromorphic computing (circuits designed to mimic the human brain) and quantum computing (individual atomic particles in lieu of transistors).“We’re narrowing down the options—a lot of wild and crazy ideas,” Bohr says. “Some of them just won’t work out.” But, he adds with utter certainty, one or two will.